Click to learn about Chef Michael's approach to dining at Elkhorn Ranch. 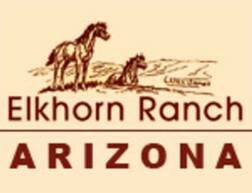 Nearly every reviewer mentions how much they love the food and dining experience at Elkhorn Ranch. You too, will probably describe your food with words like "gourmet," "exceeds expectations" and "substantial." You'll love mealtimes during your all-inclusive stay here. The lodgepole dining hall rings with the echoes of fun-filled conversation and laughter whether morning, noon or night. Part of the magic of mealtime comes as children join other children on one side of the dining hall under the care of the "Peanut Butter Mothers." Adults sit with other adults, whether family or new friends, on the other end of the hall. A parade of healthy, but hearty recipes make for endless variety on the buffet line. 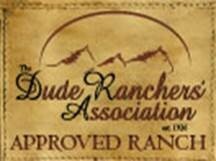 Fresh ingredients make every ranch specialty taste like it came right from the farm. Although Chef Michael’s variety suits most, we can also accommodate most special diets, dietary needs and preferences with advance notice. Reward yourself for answering the morning bell. You'll never have an empty stomach for your ranch adventures. Enjoy lunch on the trail or stay at the ranch to be served an inviting lunch buffet-style. Bottomless cookie jars await guests who need to satisfy a quick craving. Delicious and restorative dinners with incredible desserts put a nightcap on the perfect days you'll enjoy at Elkhorn Ranch.